John is a mechanic. He used to be mobile but now he has his own workshop in an industrial estate. He likes going to the beach – but not sandy ones, because he doesn’t like finding sand in his chips. mais … rassures nous … John n’est pas dépressif ? I love his facial expression. I enjoy that you make up lives for your characters. 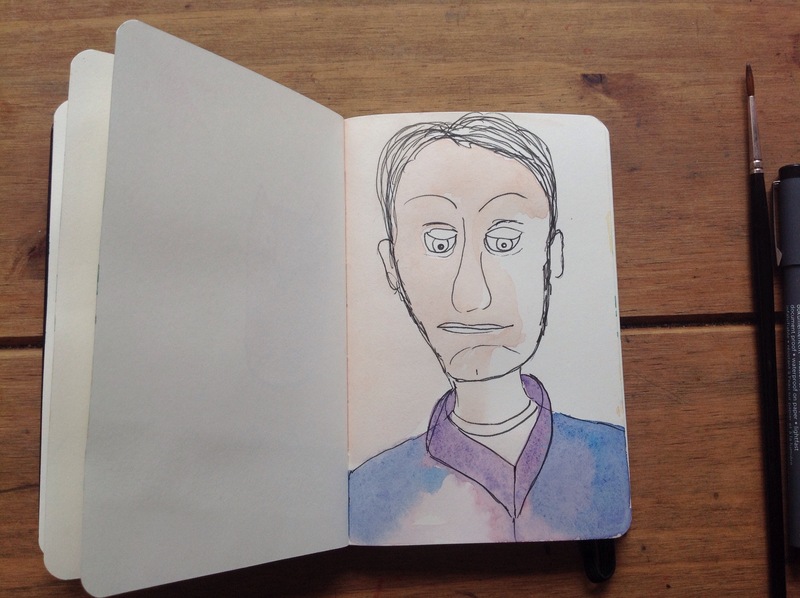 I love these little character sketches…gives me an idea of something I ought to do when prepping my next novel. What happened? Why didn’t he go for larger? Nice! Are any of your characters going to accidentally meet each other one of these days? Heehee, you’ll have to draw a “family tree” to keep track of them all!